Over the summer we have become aware of problems with footnoting styles – styles most commonly used in the History Faculty – in New RefWorks Write’n’Cite (Windows) and Citation Manager (Mac). Legacy RefWorks users should not be affected. There was a bug which caused Word to crash when you used RefWorks to insert a footnote containing a URL which has now been fixed. RefWorks users will need to download a new version of ‘Write N Cite’ to apply the fix. To do this log into RefWorks on the web and choose Tools / Cites in Word and then choose the correct plug in for Word. You may already have been prompted to do this when you opened Word. You must update to the newest versions of Write N Cite to avoid problems. Those using Word for Mac 2016/17 need to use the RefWorks Citation Manager instead of RefWorks Write N Cite. Unfortunately, the Citation Manager sometimes inserts bit of code into footnote citations. This seems to affect citations such as book chapters where the footnote points to a source within another source (e.g. Jones ‘book chapter’ in Smith, Book Title….). At the point where the ‘in’ occurs the code < BR > is inserted. This makes the citation manager difficult for footnote users who are citing lots of book chapters. The problem does not affect author-date style citations. If you are encountering this problem, but want to continue to use RefWorks, when you have finished their document you should choose “remove field codes”. This permanently divorces the document from Refworks and they will then be able to manually delete the < BR > from citations. However, once you have removed field codes you will not be able to add more citations to the document or use any other Refworks functions within it. It is therefore advisable to save a new version of the document before removing field codes in case you subsequently want to add or edit citations. Removing field codes should be the last thing you do before finishing a document. Users who have Word for Windows should use Write N Cite in preference to Citation Manager. Mac users with Word 2016 or 17 will need to use Citation Manager. If you are using the History Faculty styles in RefWorks, then please note that a number of updates have been made in order to be in line with the Faculty requirements (see also below). They mostly follows the New Oxford Style Manual (3rd ed, Oxford, 2016) bar the odd deliberate deviation. Pagination information in journal articles is preceded by “pp.” – unlike the New Oxford Style Manual. This has now been added. It has always been required for book and book chapters so there is no change there. Campbell, B.M.S., ‘Factor Markets in England before the Black Death’, Continuity and Change, vol. 24 (2009), 79-106. Campbell, B.M.S., ‘Factor Markets in England before the Black Death’, Continuity and Change, 24/1 (2009), pp. 79-106. How to get the updated History Faculty style? The four updated Faculty styles are now available on the University-wide RefWorks Output Manager. To apply them, make sure you save them to your Favorites first. You may need to re-select them. If you need any assistance, please contact library.history@bodleian.ox.ac.uk, phone 01865 277262 or speak to library staff in the Upper Camera Reading Room. Due to lack of resources it currently not possible for the History Faculty Library to also create and maintain styles in other reference management tools, such as Endnote or Mendeley. A new version of RefWorks has recently been launched by the developers, Proquest. This new version will run alongside the existing version of RefWorks (now referred to as “Legacy RefWorks”) until January 2018. Both versions are available but do not currently work together. Bodleian Libraries strongly recommend that existing RefWorks users delay moving to the new version of RefWorks for the time being. Please await further announcements. For UGs: Guidance on the Presentation and Format of Theses and Extended Essay (pdf from History Faculty WebLearn). For PGs: Conventions for the presentation of essays, dissertations, and theses (pdf from History Faculty WebLearn). Next week sees the return of one of our most popular courses! Refworks for Historians is a two-hour course held at the History Faculty, George St., from 2pm on Monday of 2nd week (26 Jan). This course will introduce you to one of the most popular reference management software packages, which can help you turn a notepad full of scribbled references into neat footnotes and bibliographies, formatted into numerous styles at the click of a mouse. There will be a particular focus on using Refworks in conjunction with the History Faculty style guide. This will be a useful course for anyone from 2nd year undergraduates beginning to think about their Theses, to DPhil and Masters’ students trying to get a handle on an ever-growing number of footnotes. Places are limited, but there are still spaces available via the History Faculty Library Weblearn site (SSO required). Start the New Year with new skills! The Hilary Term programme of Information Skills courses for this term is now available to view on our website. All researchers and academics can attend Bodleian iSkills workshops. 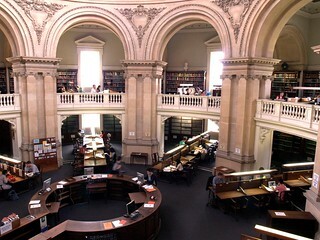 Further details about upcoming sessions and online booking are available at ox.libguides.com/workshops. Trinity Term training opportunities for 2nd year historians: book your places now! Working on your thesis? Do you have right research and information skills? Do you need to brush up your Français? Second year undergraduate historians currently working towards their theses are encouraged to attend newly announced training sessions for Trinity Term. They will provide you with valuable information and support sure to stand you in good stead for your research. Aside from highlighting some of the key resources available locally, these sessions will also provide opportunities for refreshing and upgrading information searching skills. There will be chances to explore databases, e-journals and web portals, along with advanced searches in SOLO and the benefits of using RefWorks to manage your citations during dissertation research. Staff will be on hand to provide step-by-step demonstrations, with opportunities for putting theory into practice also provided. For further details on these workshops, along with booking information, please visit the HFL website. Can’t come to a course? The handouts and slides of sessions will be made available on HFL WebLearn > Guides & presentations. Isabel Holowaty, Bodleian History Librarian is happy to discuss what sources and literature searching tools are best suited to anybody studying British and Western European history. Email her at isabel.holowaty@bodleian.ox.ac.uk to arrange a 1:1. If you are studying history outside Britain and West Europe, find your subject specialist here. Do you have the right language skills? The Language Centre has a lot to offer for historians wishing to upgrade their language skills or, quite simply, start learning a language. More on this. RefWorks for Sciences and Social Sciences (Mon 4 Feb 9.15-12.15) (wk 4) – RefWorks is an online tool which allows you to manage your references/citations, insert them into your work, automatically generate bibliographies and easily switch between citation styles. This introduction is open to all but the section on importing references will focus on Science/Social Science examples. WISER: Bibliometrics I – Who’s citing you? (Tue 5 Feb 10.00-11.00) (wk 4) – An introduction to citation tracking as a tool for finding out who has cited your work. We will cover citation tracking using Web of Science, Scopus and Google Scholar and will include time for you to use each tool to find citations to your own work. Who is this session for? Postgraduates, researchers and academics, staff involved in the REF or measuring impact. WISER: Bibliometrics II – Tools of the trade (Tue 5 Feb 11.15-12.15) (wk 5) – An introduction to tools such as Journal Citation Reports, Web of Science, Scopus and Essential Science Indicators for calculating research impact in the Sciences and Social Sciences. We cover: finding journal Impact Factors, calculating your h-index, finding ‘hot’ papers and authors, comparing research output of institutions and countries, and the emerging area of altmetrics. WISER: Finding Stuff – Books etc on SOLO ( Fri 8 Feb. 14.00-15.00) (wk 4) – An introduction to SOLO for finding books, journal titles and other materials in Oxford libraries. The session will cover effective search techniques, placing hold requests for items in the stacks, reservations and using the SOLO eshelf and saved searches. WISER: Finding Stuff – Journal Articles (Fri 8 Feb 15.00-16.15) (wk 4) – This session will focus on finding journal articles for your research using a wide range of databases as well as developing effective search strategies. There will be plenty of time for participants to try out their own searches using databases for their subject. Who is this session for? Postgraduates, researchers and academics. Keeping up with Bodleian Libraries training opportunities: Why not follow join our mailing list by sending an empty email to wiser-subscribe@maillist.ox.ac.uk, follow us on Twitter at http://twitter.com/oxwiser or visit the BodWiser blog at http://bodwiser.wordpress.com. Not a member of Oxford University? – If you are not a current member of Oxford University but would like to attend a workshop please contact usered@bodleian.ox.ac.uk. Please quote your Bodleian readers card barcode number. 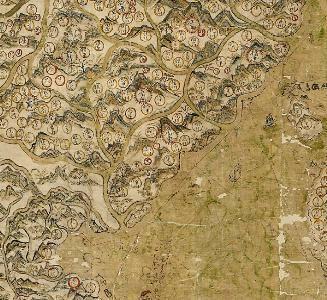 This session will introduce you to the Bodleian’s 1.3 million maps and atlases — how to find material in the collection and use it in your research. It will also touch on the use of GIS to make your own maps to include in your written work, covered in more detail in Week 7. This practical session provides an introduction to the use of GIS in historical research and analysis. It will focus on making historical maps of study areas, using symbology (colour coding etc.) to encode historical statistics and other information and extracting geographical data from scans of historic maps. This term there are a variety of workshops open to undergraduate students, postgraduate students, researchers and academics at Oxford University. Here are the WISER information skills courses coming up next week and some courses specifically for historians that are coming up over the term. Spaces on courses are limited so book early to avoid disappointment. RefWorks is an online tool which allows you to manage your references, insert them into your work, automatically generate bibliographies and easily switch between citation styles. Further details about upcoming sessions and online booking are available at ox.libguides.com/workshops or by following the links below. Some individual workshops are designed for particular groups (for example researchers or postgraduates). Check the individual class descriptions for more details. This session will focus on finding journal articles for your research using a wide range of databases as well as developing effective search strategies. There will be plenty of time for participants to try out their own searches using databases for their subject. Conference papers can be difficult to find but they are valuable because they describe cutting-edge research. This session will enable you to find out about forthcoming conferences and also to locate the published papers of proceedings which have taken place. An introduction to SOLO for finding books, journal titles and other materials in Oxford libraries. The session will cover effective search techniques, placing hold requests for items in the stacks, reservations and using the SOLO eshelf and saved searches. Guidance on finding theses, both those submitted to and held in Oxford, and those from other institutions in the UK and abroad. It will demonstrate how to exploit some of the main sources of information : SOLO, Index to Theses (UK and Ireland); and Dissertations and Theses (International), EThOS and ORA. Oxford DPhil students are required to deposit a copy of their thesis in ORA (Oxford University Research Archive). This session will focus on copyright and other issues that DPhil students need to take into account when preparing and writing their thesis so that they do not encounter problems when they deposit. DPhils are encouraged to attend this session early so that they can make sensible decisions regarding rights from the start of their research. RefWorks have recently introduced a new version of their Write-N-Cite (WNC) plug in. WNC for Windows integrates as a tab in the Word 2007 and 2010 and has been installed on Bodleian Libraries reader PCs and IT Services PCs. This new style requires a slightly updated version of the History Faculty, Oxford – Notes & Bib. (beta) style. The same bibliographical information is required when adding references and generating bibliographies, however there is a small formatting alteration to the notes layout to ensure that specific page numbers can be referenced in the new version WNC. For users creating bibliographies only via the main RefWorks website, the History Faculty, Oxford – Bibliography only (beta) style continues unchanged and should still appear in your favourite styles list. When using the older Write-N-Cite III plug in to format footnotes and create a bibliography in a word processing document, use the style History Faculty, Oxford – Notes & Bib. (for WNC III). This is the notes and bib style that was originally created by the Faculty. To ensure this style is available to select in Write-N-Cite, log into your RefWorks account and add this style to your list of Favourite Styles using the Output Style Manager function. When using the newest version of the Write-N-Cite plug in to format footnotes and create a bibliography in a MS Word document, use the style History Faculty, Oxford – Notes & Bib. (beta). This style is an updated version of the original style, which omits the start and end page information at the end of the footnote reference. This allows you to add the specific page reference information using the suffix box in the Insert/Edit Citation function. To ensure this style is available to select in Write-N-Cite, log into your RefWorks account and add this style to your list of Favourite Styles using the Output Style Manager function. For more information about using RefWorks, please use the RefWorks help section within RefWorks or their tutorial videos on YouTube. 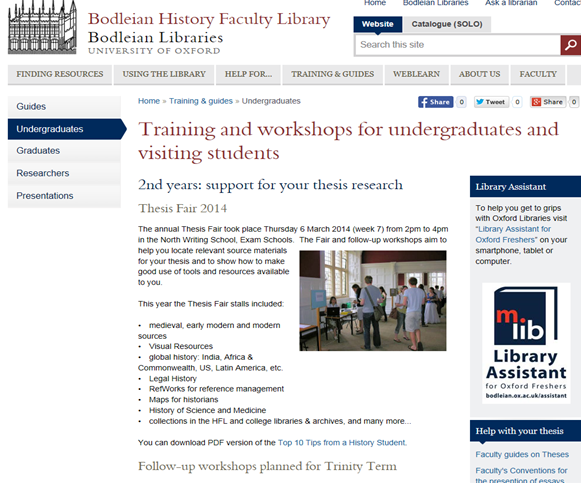 For questions or assistance on using the History Faculty styles, please contact bethan.jenkins@bodleian.ox.ac.uk. WISER: Tech Tools – Reference Management [Friday 8 June 14.00 – 17.00] – Keeping track of your references and formatting them correctly for your thesis or publication is a chore. Reference management software makes it much easier and is worth investigating. This introductory session gives an overview of how it works and the pros and cons of RefWorks, EndNote, Zotero and Mendeley. Presenters: Ljilja Ristic, Ollie Bridle and Angela Carritt. > Please book your place online. WISER: Getting information to come to you [Wednesday 16 May 14.00 – 15.30] – How to keep abreast of new publications and papers in your research area, research news and opportunities using RSS feeds and email alerts. The session will include a demonstration and time to set up an RSS reader or email notifications. Presenters: Jane Rawson and Penny Schenk. >Book your place.